Over time, the drain pipes and traps in your kitchen, bathroom and shower will become clogged with hairs and with the build up of grease, fats, soaps and detergents that will block the drain. Plus, sink and toilet drains will become clogged with debris and will cause problems that you will most likely not be able to fix on your own. Clogged drains are hard to unclog if typical store bought drain cleaning products are used. 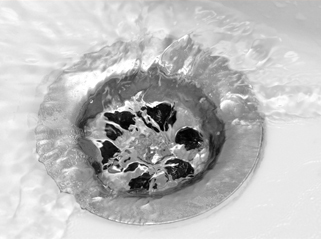 If you have a clogged drain, it is best to contact our top-rate plumbing company. Our technicians are well experienced and trained and know what they are doing. You can trust them to fix your drain problems and can trust that the job will be done right. We have been in business for decades and can unclog all types of blocked drains that include tubs, sinks and floor drains. Our technicians will also successfully clean clogged garbage disposals, toilet drains and downspouts. Our Drain Cleaning in Tempe, AZ services are unmatched and will not be beat by any of our competitors. You can trust that our skilled professional technicians to do a great job. Our skilled technicians will safely and effectively clean grime from the walls of your drains and will remove debris from the traps. You can rely on our top-rate Drain Cleaning in Tempe, AZ and can trust that when the job is complete that your bathroom, kitchen and shower drains will be successfully unclogged. We will also use deodorizers to prevent foul odors. If you want the sinks and drains in your home to be thoroughly cleaned, contact our highly professional company today to make an appointment. When the job is done, we assure you that your clogged drains, pipes and traps will have the proper drainage when the job is done.